Here we have a collection of commonly asked questions to help you in finding the right wiper blade for your vehicle. If you can't find an answer here just email us on info@wiperblades.co.uk and we'll be more than happy to help. Wiper Blades Ltd. are an independent company and, as our name suggests, we specialise in the supply of windscreen wipers. We offer the widest choice of quality wiper blades in Europe, from the worlds major manufacturers, including Bosch, Lucas, Michelin,Trico, SWF and our own range of highly acclaimed Aerowiper. You can be sure that any windscreen wiper we supply has been manufactured to the highest quality standards and we stock wiper blades for almost every vehicle on the road. Our quick and easy search on this website not only enables you to accurately identify the correct wiper blades for your vehicle, but will also give you the biggest choice of wiper blades in the UK. 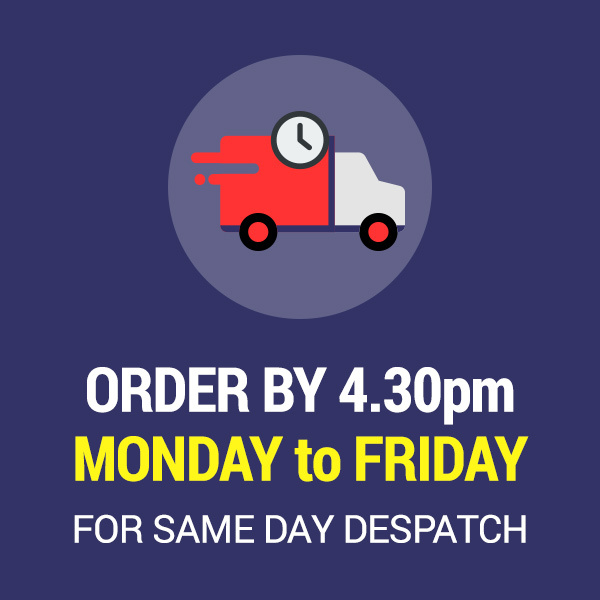 Order by 4.30pm on any weekday and we aim to despatch your order the same day. What are Flat wiper blades? The Flat style wiper blade use bracketless technology and internal spring strips, which replace the conventional metal frame. This allows for a more streamlined wiper blade, reducing wind noise.The internal spring strip gives an even pressure along the length of the blade as opposed to the 6 - 8 pressure points of a conventional wiper blade. FLAT WINDSCREEN WIPERS FITTED FROM NEW. Flat wiper blades are increasingly being fitted as standard to new cars and if this type of wiper blade was fitted to your vehicle from new, they can only be replaced with the same type of flat wiper blades. Flat wiper blades use a different type of fitting to attach them to the wiper arm. UPGRADING TO FLAT WIPER BLADES. If your vehicle has conventional wiper blades fitted, you now have the option to 'retrofit' the new flat style of wiper blades. The retrofit flat wiper blades we offer all have integrated adaptors that take the conventional hooked shape wiper arm. Fitting is as straightforward as replacing conventional wiper blades. What are Hybrid wiper blades? The new Hybrid wiper blade combine the aerodynamic shape of a flat blade with the solid construction of a conventional wiper. An articulated plastic frame forms the aerodynamic 'skin' of the wiper blade. This allows for a smoother airflow, which in turn creates an even down force along the entire length of the blade. Under this skin is the steel sub-structure which provides a sturdy support for the rubber wiping element. This type of blade is becoming more and more popular on new Japanese vehicles such as Toyota and Nissan. How often should wiper blades be replaced? We recommend you change you windscreen wipers when their performance starts to diminish or at least every year. Windscreen wipers are a vital safety aspect of your vehicle and as such should be replaced when they no longer perform as expected. During their life they will probably clean an area equivalent to over 40 football pitches or about 1,500,000 wipes. They have to endure freezing temperatures in the winter, the extreme heat of direct sunlight and the effect of UV rays in the summer. Other factors like tree sap, diesel particles and even car washes can affect their lifespan. Why does your website show a different size wiper blade or fitting to what is fitted to my car? There are several factors that can cause a discrepancy between the size and type of wiper blade that is fitted to your car and what our website states. Please remember that our website is a guide only and we always recommend that you measure your existing wiper blades and check the fitting shown for each blade. Sometimes during the course of vehicle production the vehicle manufacturer may have fitted slightly different wiper blades to what appear to be identical models. This is often the case where the manufacturers first choice of supply has been exhausted or temporarily out of stock, so a second supplier is used. If you have a second hand vehicle, it is possible that the previous owner may have changed the blades but fitted incorrect sized blades. It is also worth remembering when you select the year of your vehicle that our website refers to the 'year model' which may not necessarily be the same year that your vehicle was registered. For instance the Citroen C5 had conventional wiper blades fitted to the 2003-year model. The 2004-year model had the new style Flat wiper blades. If you car was registered in the latter part of 2003 or the beginning of 2004, it could be either the 2003 or 2004 year model. If in doubt, please email us at help@wiperblades.co.uk or call us on 01299 251130. Should I replace wiper blades as a whole or just use refills? A wiper blade consists of the rubber wiping element and the superstructure with brackets and joints that distribute the arm pressure and give the blade its flexibility. The different parts that make up a complete wiper blade are manufactured to perform as a single unit. A refill is just the rubber element. Replacing just the refill is a low-cost alternative to changing the wiper blade however, changing the complete blade is typically much easier, faster and will usually produce a better result. Replacing the refill too many times should be avoided, as the wiper blade superstructure will become weaker over time. Is it sufficient to replace just the drivers side wiper blade? It is recommended to replace both the driver's side and passenger's side wiper blades at the same time as both wiper blades will perform better from new, this increases vision and safety. Do not forget to replace the rear windscreen wiper blade as well. Do I need to clean my windscreen before installing new wiper blades? Yes, we advise giving your windscreen a good clean before fitting your new wiper blade. Windscreen contamination is a common cause for poor wiper blade performance even if the wipers are in good condition. Some kinds of contamination, such as tree sap, can destroy the rubber element in a short time. 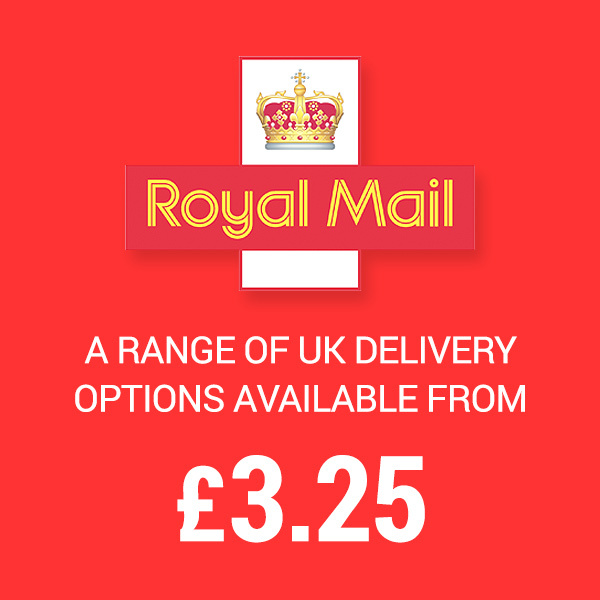 If you selected Special Delivery or Tracked Delivery you can track your order on the Royal Mail website. Your tracking number is on your despatch confirmation email, if you do not have this please contact us at help@wiperblades.co.uk for a tracking number. It is also worth checking around your property and with neighbours as Royal Mail usually leave parcels somewhere safe if you are not in. Sometimes calling cards are not always left so you should contact your local Royal Mail Delivery Office to enquire whether they have attempted to make delivery but have not left a card. In any event you must contact us within 14 days of despatch. My order arrived damaged or is not what I ordered, what do I do? We pack your order with extreme care, but appreciate sometimes things can go wrong. If your item is delivered damaged, faulty or is not the product you ordered we will replace the item or refund you in full. If this is the case please email us within 14 days of delivery at help@wiperblades.co.uk. We will get back to you within one working day. Here at Wiper Blades Ltd. we hope that you are happy with your order, however we understand that you may want to return an item. Please email us within 14 days of delivery at help@wiperblades.co.uk. We will get back to you within one working day. You can then post your order back to us and we will exchange or refund you upon receipt. If you have received an incorrect item or it is faulty, we will email you a free post label to return the item for a replacement or refund. If you no longer require your order, you are welcome to return it for a refund - you are responsible for the returns postage.